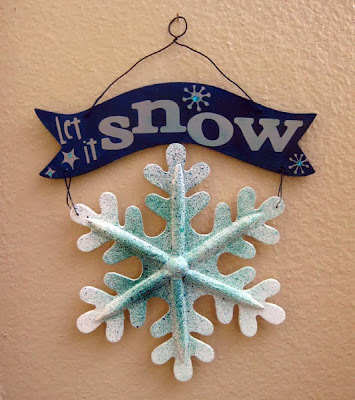 It's Wendi here and today I am sharing a fun easy winter wall decor hanging using some Cricut vinyl. Not only is this perfect to hang up during Christmas time, but since it's more of a winter wall hanging it can stay up through January too. First I got my supplies, the wood piece was from Joann's for 70% off, so it was just over $3.00 which was a steal. I painted my wood piece and let it dry, once it was dry, I went and cut out my vinyl letters. First I cut them in cardstock to make sure they worked and fit properly, and then I cut them in vinyl. I used a Cricut Expressions machine to cut my gray vinyl. I set my machine to blade pressure 3, medium pressure and medium speed. I used the "Jubilee Celebrations" font for the words LET IT and the snowflakes at 1 3/4", and then used the "Plantin Schoolbook" for the word SNOW at 2". I felt like it needed a bit more, so I added some bling to the snowflake vinyl pieces and some misting to the actual snowflake to give it more of a winter feel. This is the Christmas photo we're using this year. Our baby is due January 12th, but he could be here any day really! I have asked him not to come on or before Christmas, but anytime after that is all good! Hence, the "Do Not Open Before Christmas" tag. Because this photo had some darker colors, I liked that the paper patterns had some darker colors in it as well. The "special delivery" tag couldn't be more perfect, right? It even says "Do Not Open Before Dec. 25"! I love it. 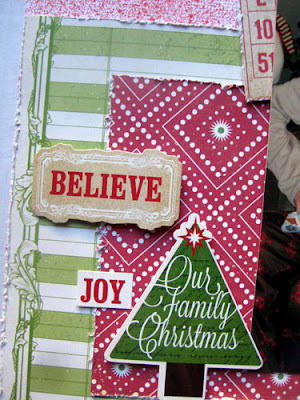 Both this and the gold tree tag were cut out from a page with lots of different tags and journaling blocks. The upper sticker said 'Christmas Greetings'. I only wanted the 'Christmas' part so I covered with another sticker and layered the second part of my title over the rest. The 'bliss' font is the sticker alphabet that came with the pack. 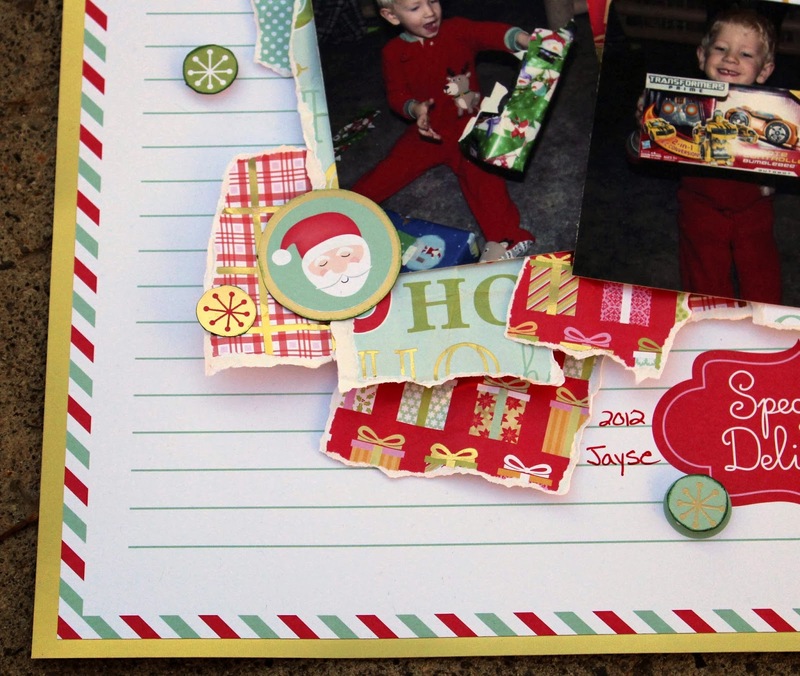 There were several cute, coordinating border stickers as well as some fun shape and journaling stickers. Because the background pattern is so bold, I decided to keep the rest of the layout more simple so there wasn't too much distraction on the page. The color palette is a little subdued and almost vintage-y looking. 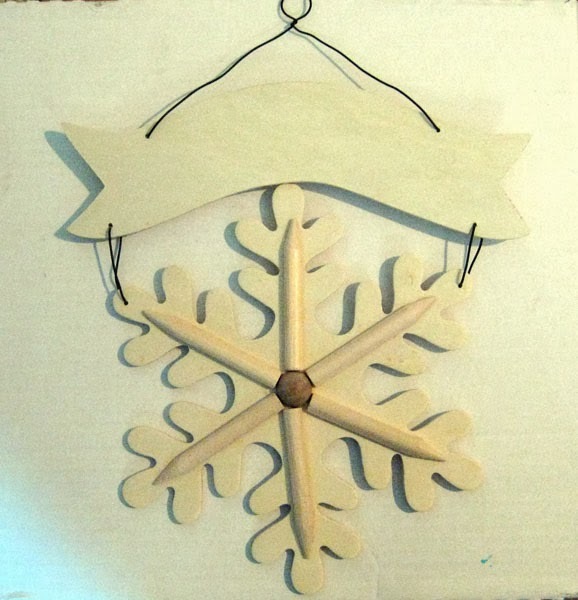 I cut out some snowflake-like shapes from my Cricut and used the insides as well, showing the reverse paper patterns. 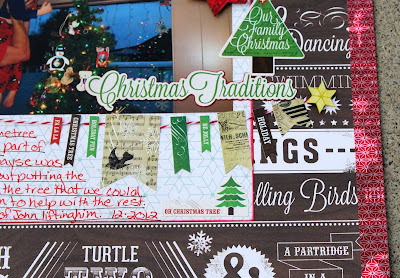 Always looking for ways to incorporate more paper onto my layout! I used some border strips here- I love incorporating these in my layouts and Basic Grey's are very unique! 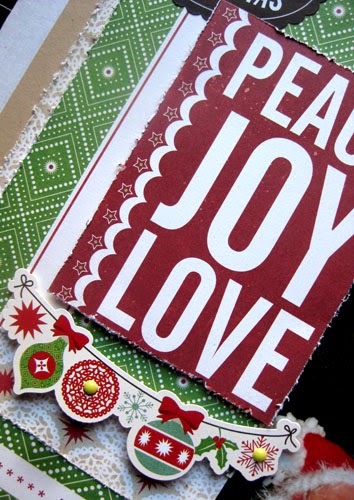 This ticket was cut from a page of cute tags, tickets, journaling tags and other cute images. 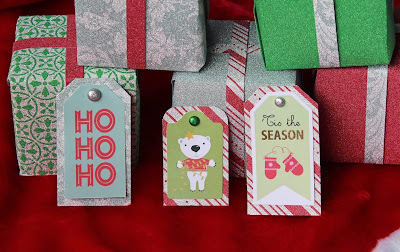 This cluster includes another tag cut from a page, as well as some of the cute stickers. I found some coordinating thickers and used them for my title. Again I had enough paper and embellishments left over to at least do another layout or two as well as several cards! Lots of fun, cuteness to work with! Thanks for looking! 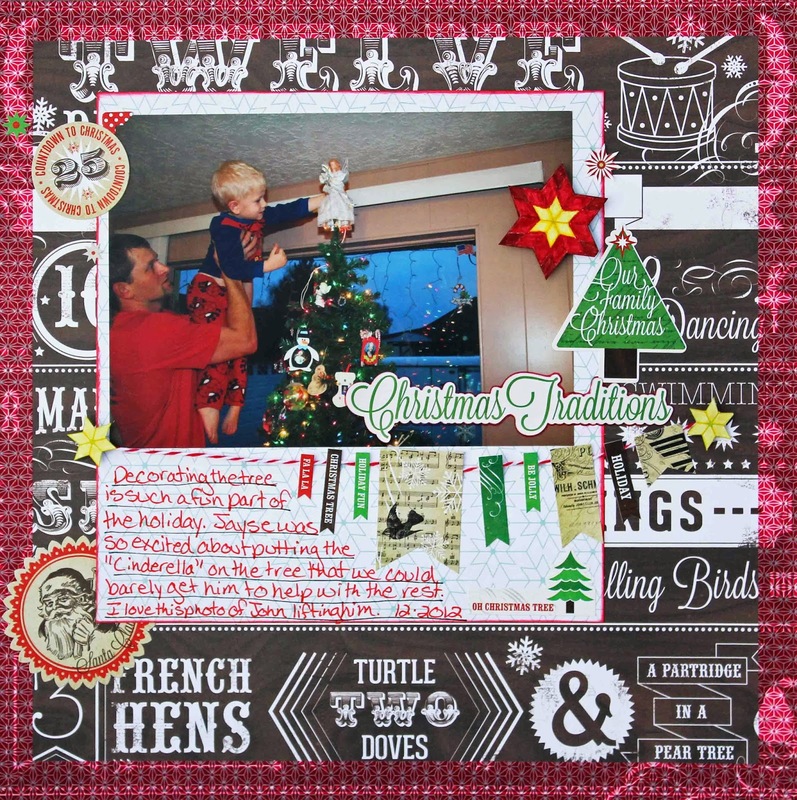 I have to say I am a HUGE fan of the non traditional Christmas scrapbook lines. I love aquas, lime greens, and pinks to mix it up a bit. 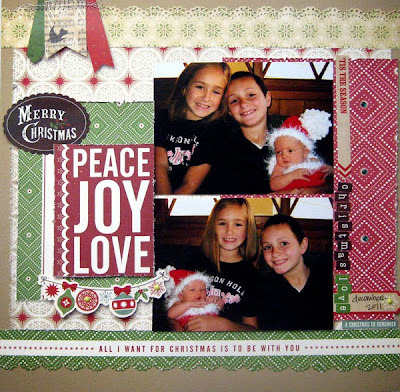 The DCWV Jolly Whimsy Mat Stack... As soon as I saw the colors I just fell in love with it!!!! 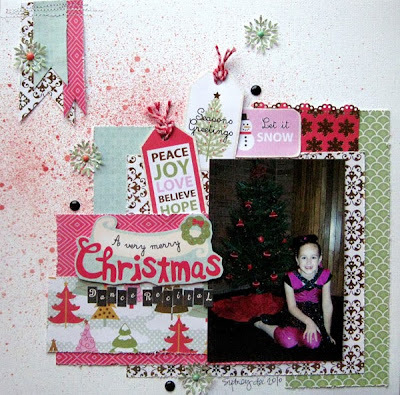 The second layout is of my daughter who has a Christmas dance recital each year. I always snap a few photos of her by the Christmas tree in her dance outfit. So this line was perfect for it. I just LOVE these Mat Stacks.... make sure to check out DCWV to see what new things they have in store. other supplies: MME enamel dots, Kaiser Craft bling, Mister Huey mists, Twine, Border punch, MS snowflake punch, OA mini alphas, Sharpie pens. Hi! Have you seen DCWV's Holiday Glitzy Glitter stack? It is GORGEOUS!! I love it. 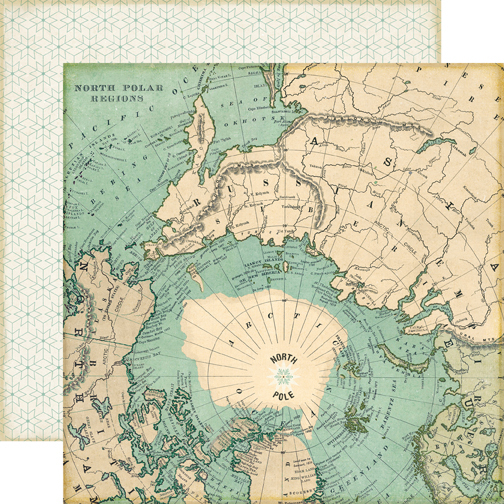 I've been using it for backgrounds on layouts and cards and now I'm using it as gift wrapping. Perfect, right? I made 6 boxes, put some little toys in them and gave them to the kids I watch. They loved them. My favorite thing about these papers, besides how beautiful they are, is that you don't end up with glitter all over you. It's really just amazing. It all stays put on the paper and it's easy to work with. I also added some cute tags using the Jolly Whimsy stack. Boxes and made a couple. I pulled them apart to figure it out on my own. 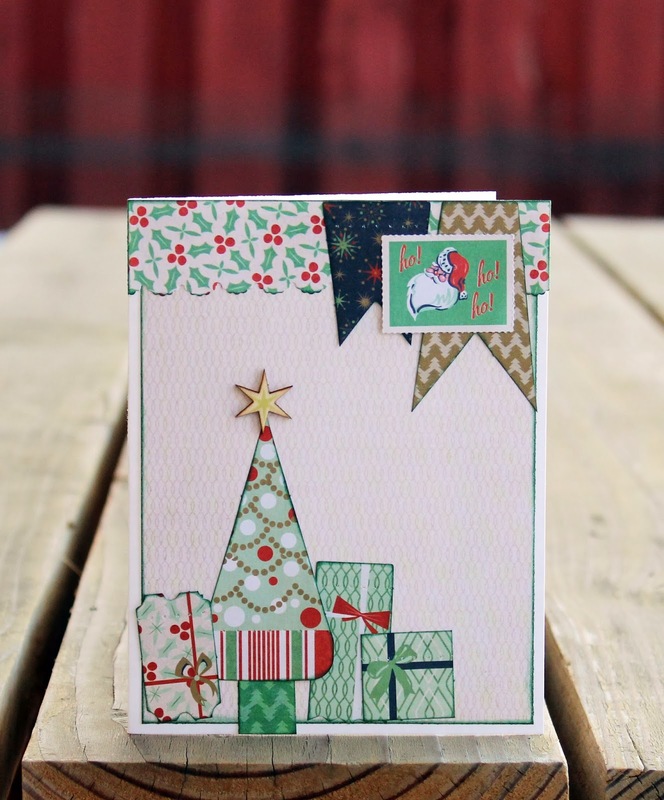 Keep in mind a 12x12 sheet of paper gets you a box that is 3x3x3, perfect for the small gifts and so fun with this awesome glittery stack (that doesn't flake off when you're working with it!). And we're off! Tis the season to be merry, bright and decorating right? Which is why I decided to scrap this cute photo of my husband lifting our youngest to put the angel on the top of the tree. He was so adorable waiting to put "Cinderella" at the top. 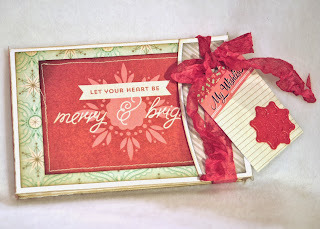 Then I put together this card using the easy project life style papers in the kit. 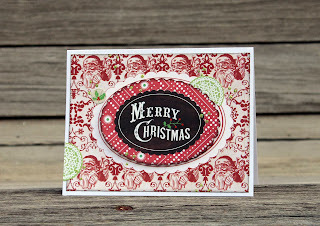 The base Santa paper from Peace Joy Love paper was a little big, so I trimmed it down a little to fit my card. 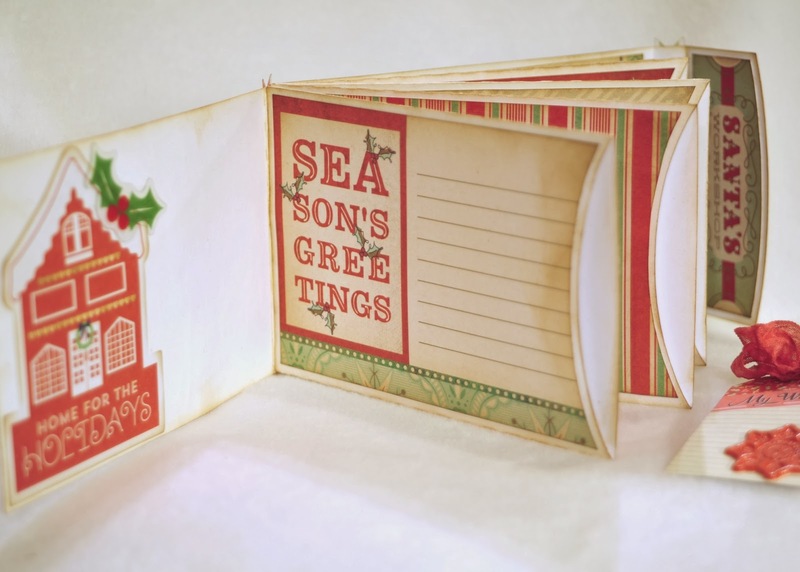 The red pattern was fussy cut from the Christmas Story paper. I just flipped it over after cutting it out and used the back side. Both papers are inked with black. Then I added the Merry Christmas sticker and used foam adhesive under the red pattern to add to my card. I cut the green circle sticker apart and used it along with one other little circle sticker and some green stickles. I hope you're enjoying your holiday season! 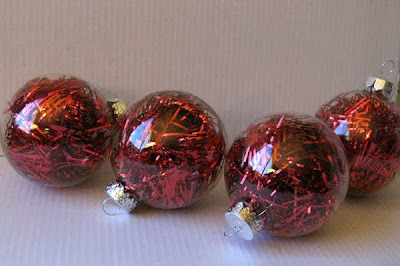 Today I am sharing with you a fun way to dress up your clear glass ornaments with some Cricut vinyl. 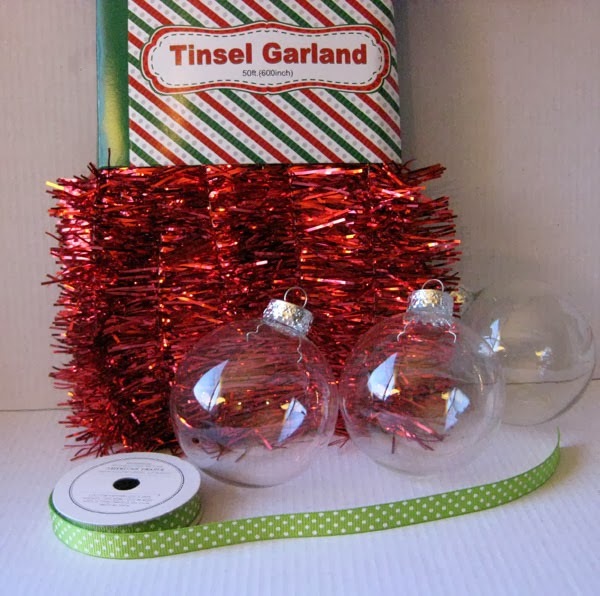 First I got my supplies- Tinsel from the dollar store, clear glass ornaments from Target, and some American Crafts ribbon. 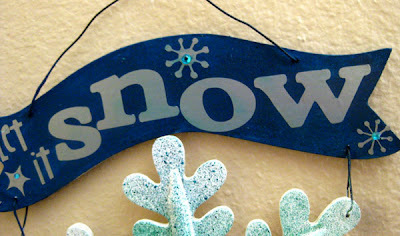 Then I got our my Cricut Expressions machine and used some of the Gray Vinyl from Cricut. 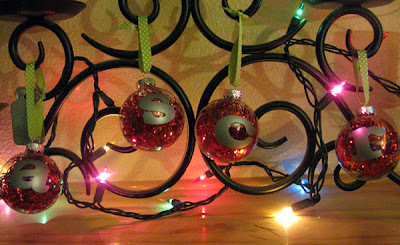 I decided to make some ornaments with each of the kids first initial and then one for our family name. I used the Plantin Schoolbook font at size 2". I set my blade at 3 with medium pressure and medium speed. (high speed seemed to cut too quickly and not work as well with the vinyl). 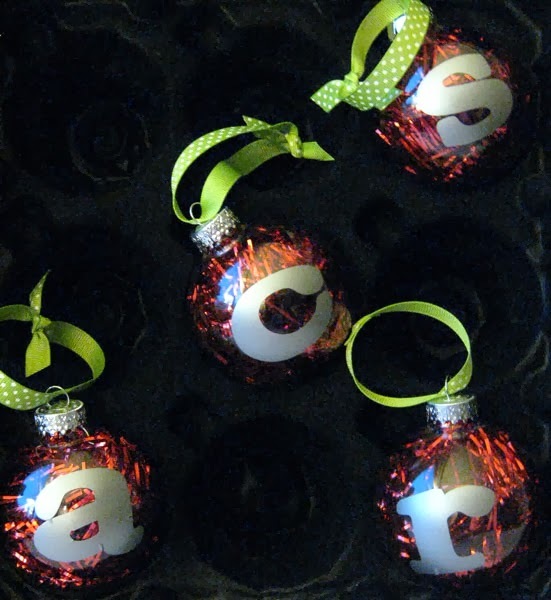 I added each vinyl letter to each of the ornaments and had a quick and personalized ornament for each of the kids. These are perfect to make as neighbor gifts, teacher gifts, or as a personalized gift for someone. 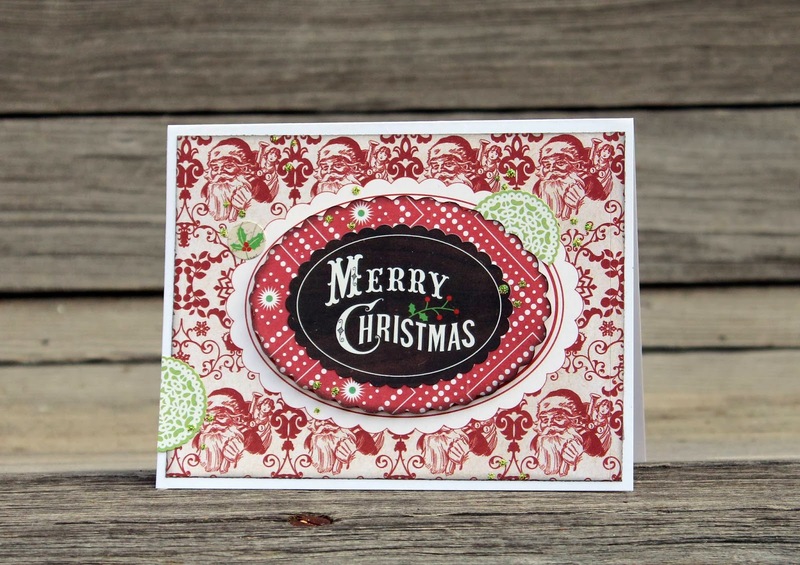 Have you seen Jolly Whimsy by DCWV? It is SO cute! I think I am in love with this stack. 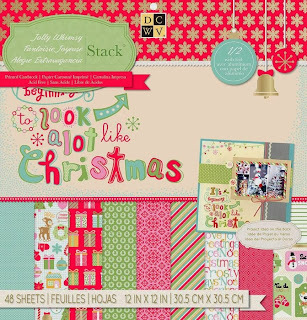 So today I have a layout for you using papers from this adorable stack. 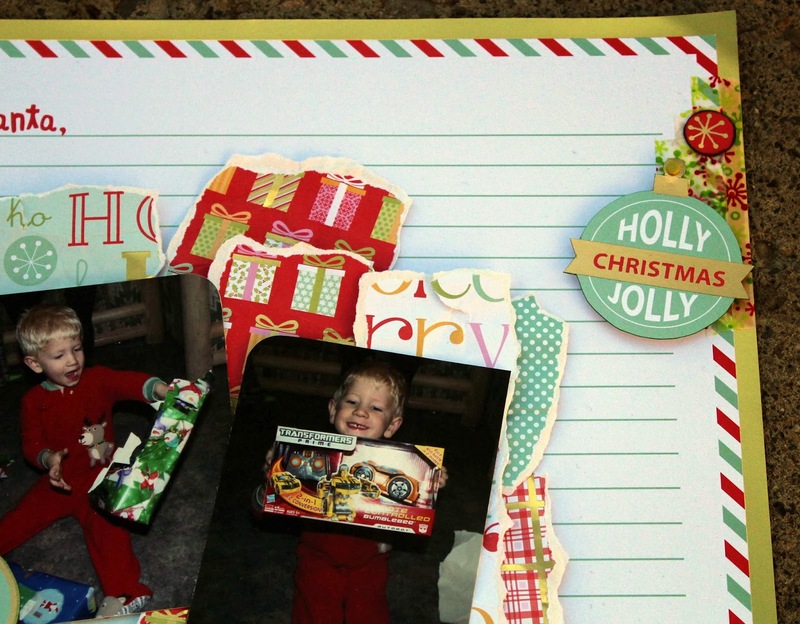 The look of excitement on my son's face is what really grabbed my attention with these photos. 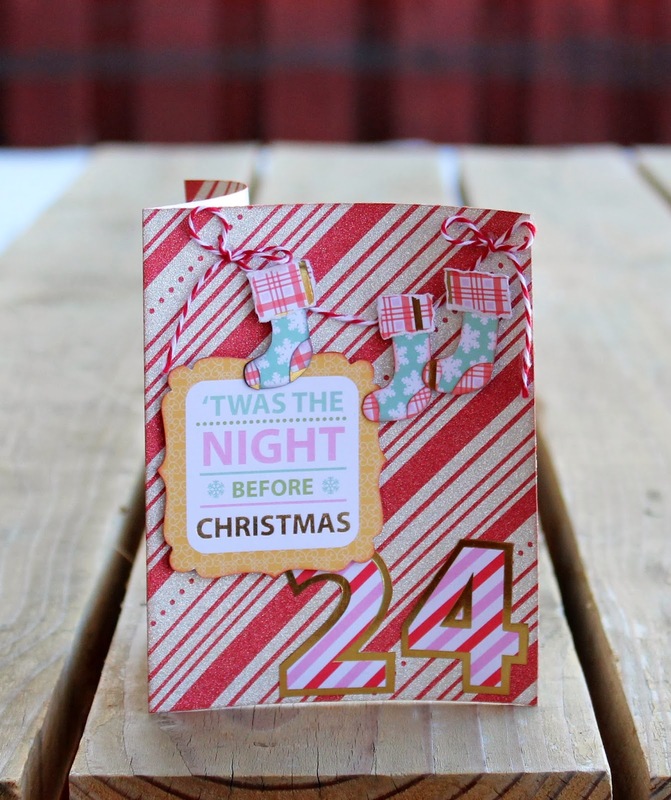 I wanted to really bring that excitement to my page and I thought what better way than through torn wrapping paper? 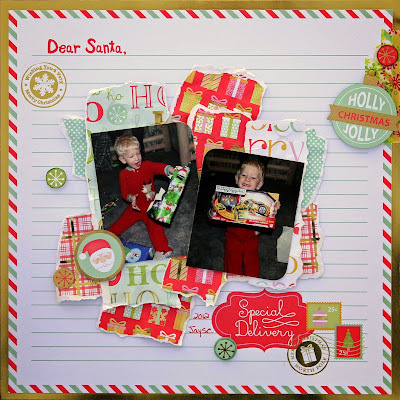 So I picked this cute Letter to Santa pp for my background and then some fun prints that I could tear up and layer on my page. Then I cut the snowflake circles, Santa, and ornament from another pattern and added them to the page, a few with foam adhesive for dimension. 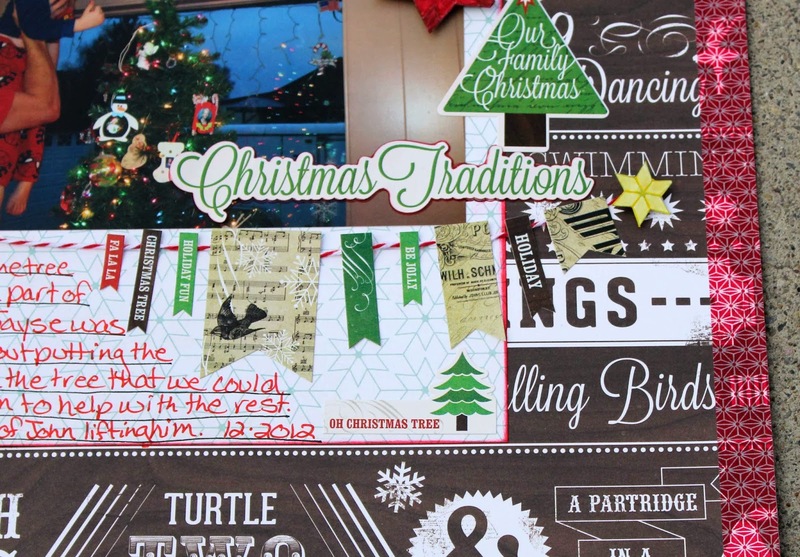 In the upper right corner I layered some washi before adding my ornament for a little extra fun. 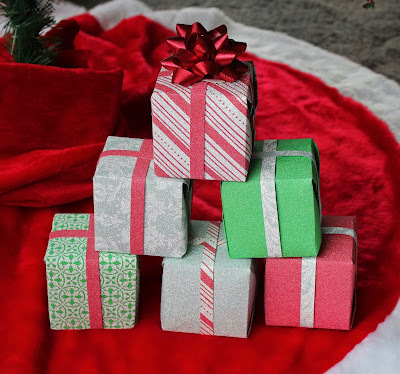 Super simple and easy page that really brings out the joy of gifting. I don't know about you, but it's beginning to look a lot like Christmas every where I go. I always love seeing Christmas lights up on the house, and it makes me smile. One of my fave companies is Echo Park and they always put out the best Christmas lines each year. I got to work with their Reflections Christmas collection for a couple of layouts. It's their more traditional line release. For my second page, I used some photos that were from the photo session of pictures that went on our family Christmas cards, which were also baby announcements for our new little one. So in case you haven't, check out Echo Park and their latest collections. Did you know they release a new collection every month??? 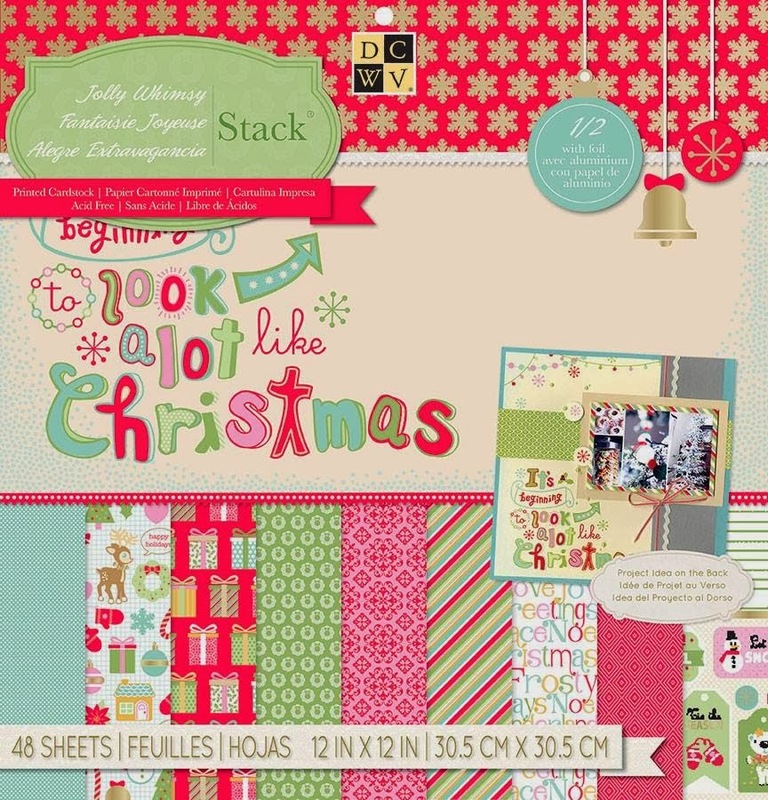 Along with some mini collections and Photo Freedom lines which are perfect for your Project Life pages. 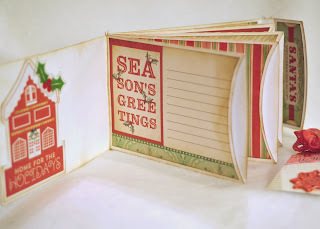 Other supplies used: MME enamel dots, Mister Huey mist, Kaiser Craft bling, Sharpie pen, machine stitching. Homemade Holiday Cards - You still have Time! The temperature was about 10 degrees outside when I took these photos and it made the glitter paper curl up. I was a little worried things were going to pop off or they weren't going to straighten back out, but almost the second I got them back in the house they flattened back up. 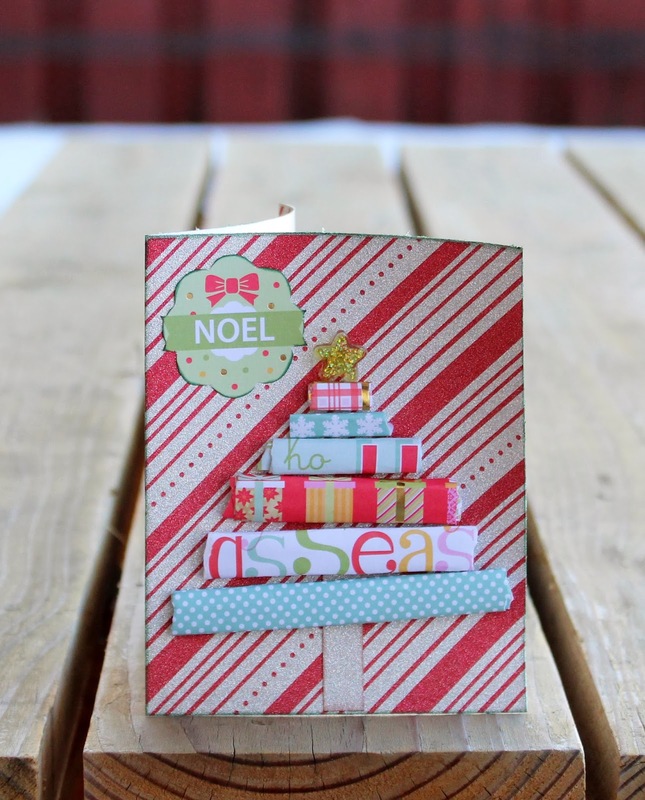 For this card I used this gorgeous red and silver striped background and then cut out the sentiment from the Jolly Whimsy stack. I hand drew and cut a pattern for the stockings so I could cut them out of the fun prints in the stack & hung them from twine. And the 24 I cut from a paper in the stack also. I really like the look of the rolled pp, so I made a tree from some of the adorable patterns in the line and then added the noel wreath from the icons paper. The trunk is made from the barcode edge of the glittered pp, love it when those are useful! And a glittery star button from my stash. 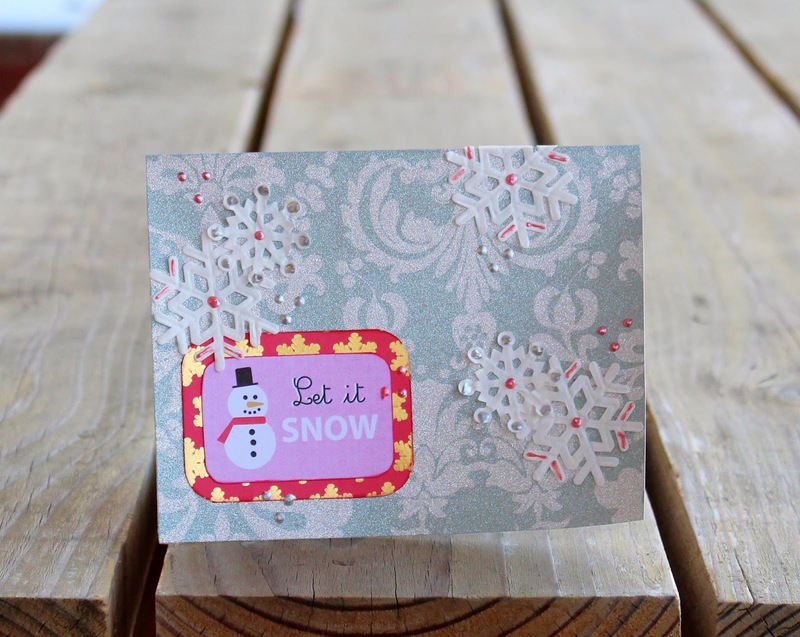 This glitter pattern was so pretty I actually wanted to just use it as the whole card. 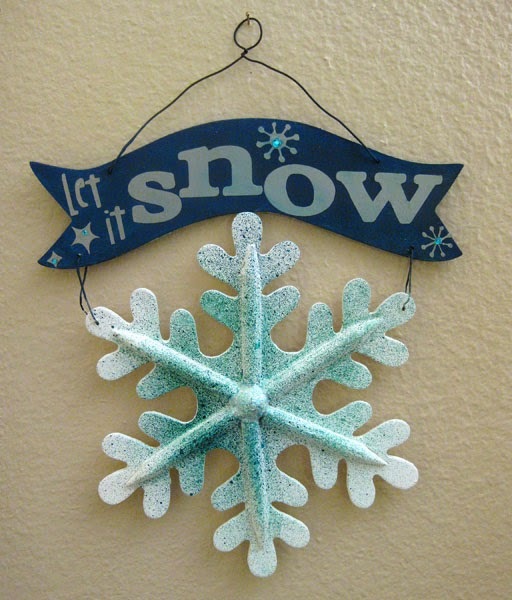 lol But I added the cute little snowman from the icons pp, backed with the fun gold snowflake pp & then added the snowflakes and a bit of liquid pearls for fun. Thanks for stopping by today! I'm off to mail these. 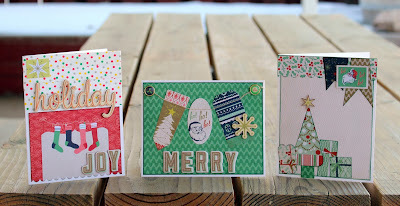 I have some cute, simple Christmas cards for you today! I've been having a lot of fun making Christmas cards this year and using the Basic Grey's 25th and Pine line has made it so easy. For this card and used this pretty pine tree chevron printed paper with edges inked in dark green, I love it! Then I picked one of the banners. 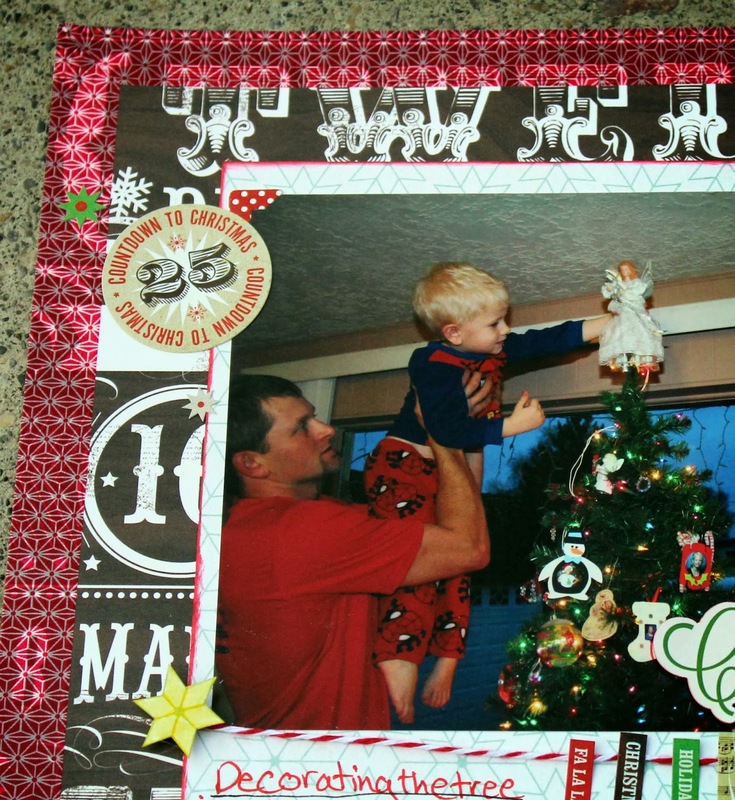 Because they're made for a 12x12 page I had to snip it down to size. I just snipped the string in the middle of the banner next to the ones I wanted, then unpicked the string from that banner so I could use it somewhere else. I added a couple of the cute brads, wooden snowflake and the chipboard letters to finish off my card. This card is where I used the banners that no longer had string through them. First I flipped them over and closed up the string holes with my fingernail. One banner is used as a tree here, 2 at the top and then I wanted some quick presents so I actually cut them out of a different banner. I also used another pp for my background, inked in dark green again, then used a punch on a different pattern for the top piece and added one of the super cute stamps and a wooden star. Oh and that cute chevron print for the tree trunk. This card was probably the easiest. 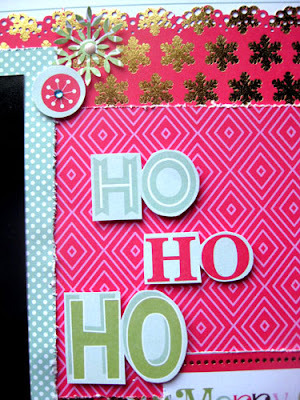 I used the snippets card, inked in black, for the bottom and added the Joy letters. 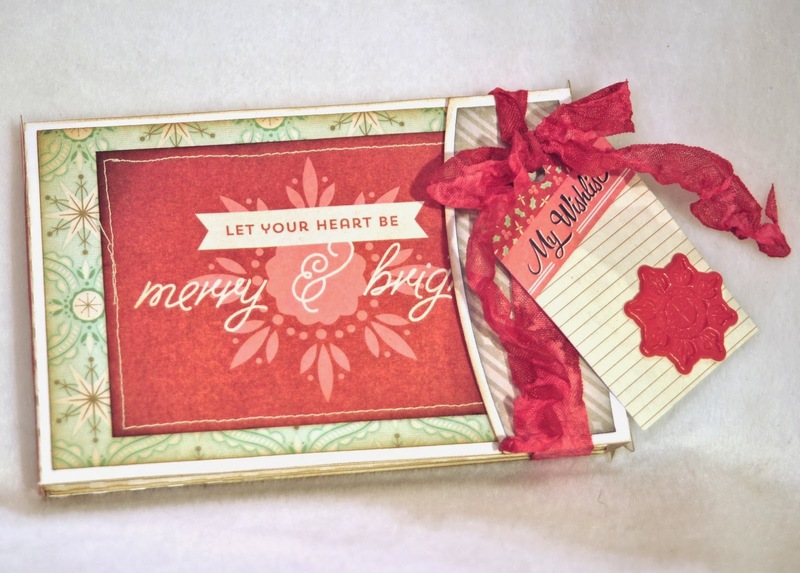 Then layered some washi tape across the top, attached the Holiday wooden word and another cute stamp. 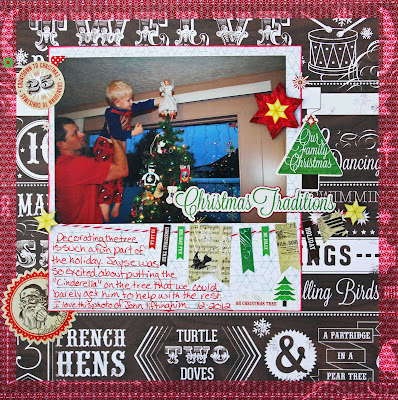 In anticipation of the upcoming craziness of Christmas time, I thought it would be nice to be ready ahead of time with a mini album all ready to go, and the "25th and Pine" line of papers and embellishments from Basic Grey is beautifully PERFECT for this! This line is fabulous! The colors are traditional yet they are not the bright greens and reds... they are softer, more muted. I chose an album style that has pockets... I love the idea of having places to tuck photos and little treasures. For the moment, it is pretty plain... I wanted to keep it simple until I have the photos, stories, and memorabilia to fill it up... 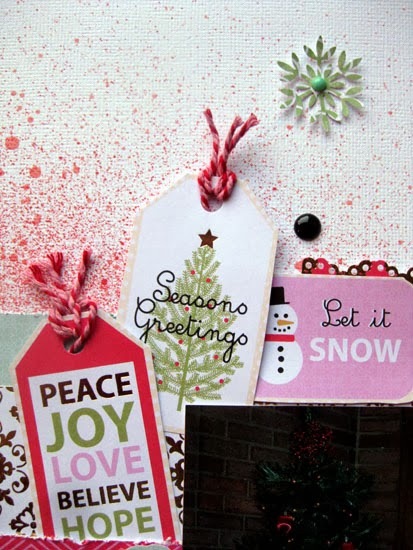 This is where the matching embellishment packs really come in handy! They make snazzing it up quick and easy when the time comes! Being ahead of the game should mean that I get the scrapbooking done, right? LOL! Hi all! I have a fun (and easy!) home decor project to share with you using unfinished wood shapes, acrylic paint and DCWV paper! DCWV has some really cute holiday stacks this year and the nice thing about this project is you can customize it to suit your taste and decor (traditional, whimsical, vintage, etc.). Next you're going to choose your paper. 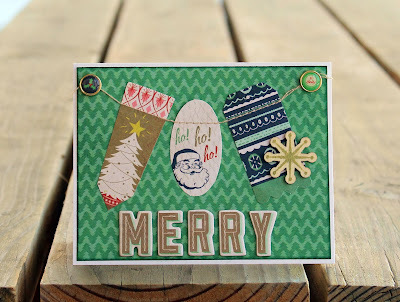 I chose some papers from the Jolly Whimsy stack. I like the whimsical look for these trees, but as I mentioned earlier, there are several stacks to suit your personal taste! 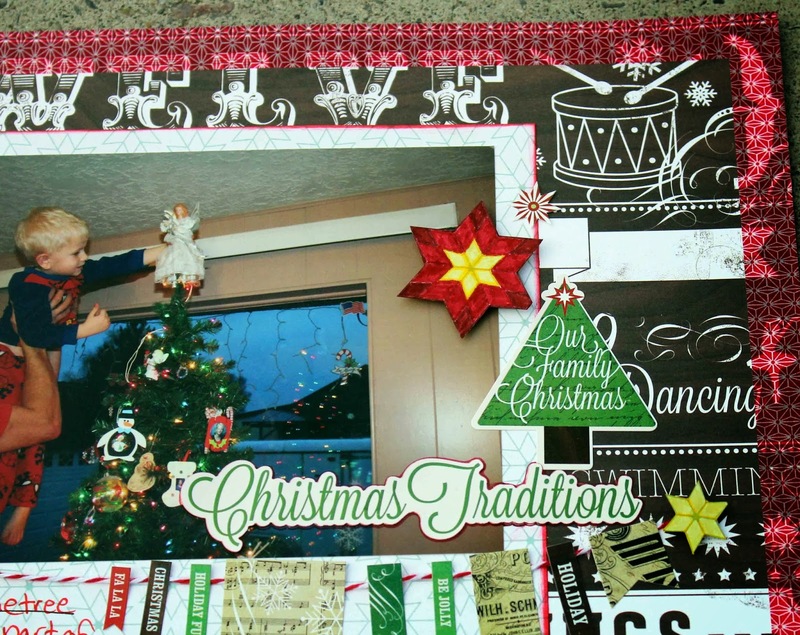 Once you have your papers chosen you're going to mark the FRONT of your tree and flip it so it is facing the BACK of the patterned paper you chose. Then you're going to trace the outline of the wood piece on your paper and cut it out. Don't worry if it isn't perfect or if you couldn't get to some of the really tight nooks and crannies. You can always trim it up after it's adhered to the block with a razor or sand paper. Once this is dried you are going to adhere the paper onto the front of your shapes. You can use Mod Podge for this, but I was once recommended to just paint on wood glue and that has always worked great for me. 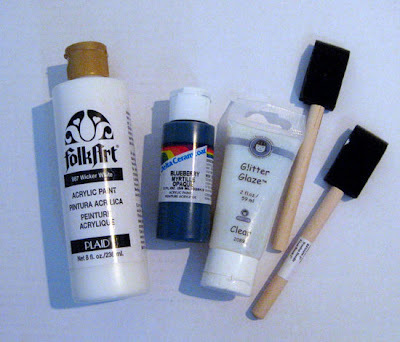 I just paint on the glue the same way I would the acrylic paint and then carefully place the paper. 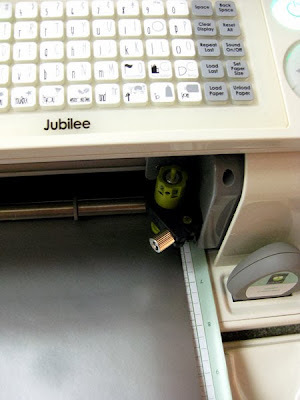 The glue takes a few minutes to dry so if you need to reposition the paper it's not a problem. I use a squeegee type of tool to make sure there aren't any air bubbles and then lay it paper side down to let the glue set so it doesn't pucker. While that is drying I paint my bases and dowels. I found some fun glitter paint that I used on the bases. I drop a little wood glue in the hole on the base and then place my dowel to help secure it. I do the same thing when securing the tree to the dowel. Now all you have to do is add some embellishment. 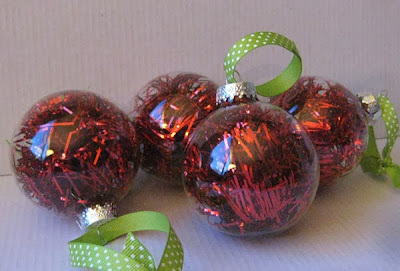 The possibilities are endless- ribbon, craft wire, glitter glue, etc. Whatever suits your fancy! I used some tinsel ribbon on mine. I hope you enjoyed the project- thanks for checking it out today!